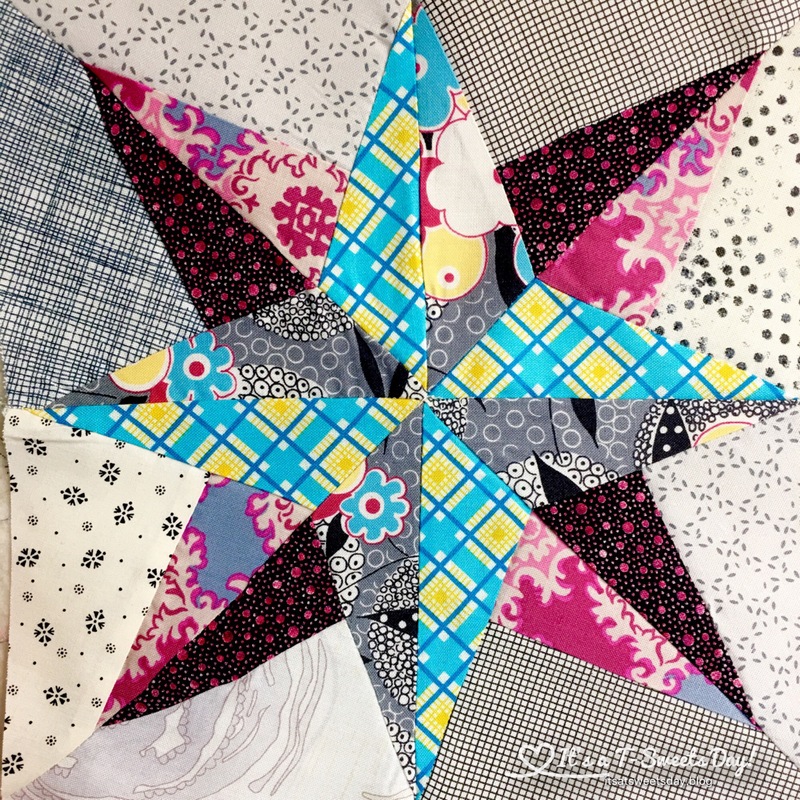 Delilah Quilt Along – North Star Block – It's a T-Sweets day! Published on August 10, 2017 by Tracy @ It's a T-Sweets Day! It seems like forever since my last Delilah Block set has come in the mail! I have been patiently waiting while watching and drooling over the beautiful finished blocks of others popping up on Instagram and Facebook. 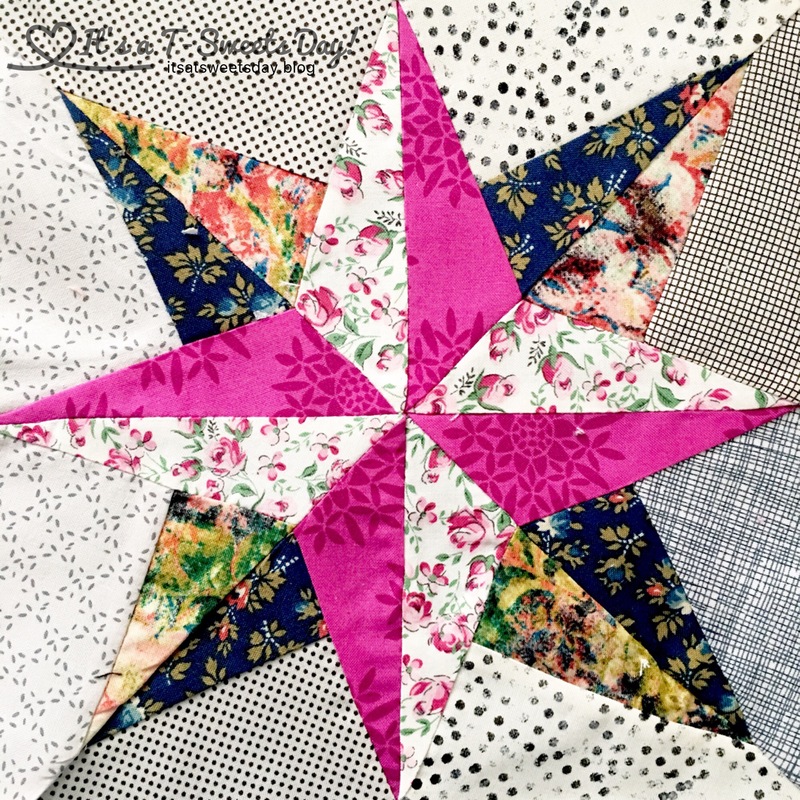 Finally, here at the beginning of August the July North Star block came in! The hardest part of these blocks is always the cutting. I always breathe deep as I hope that the color combinations I choose are going on look good. Cutting with these templates gives the same sharp points as I would get if I were paper piecing. But, yea! I’m not!:). There is hardly any waste of fabric and everything just sews together so easily. Three triangles make a larger triangle. 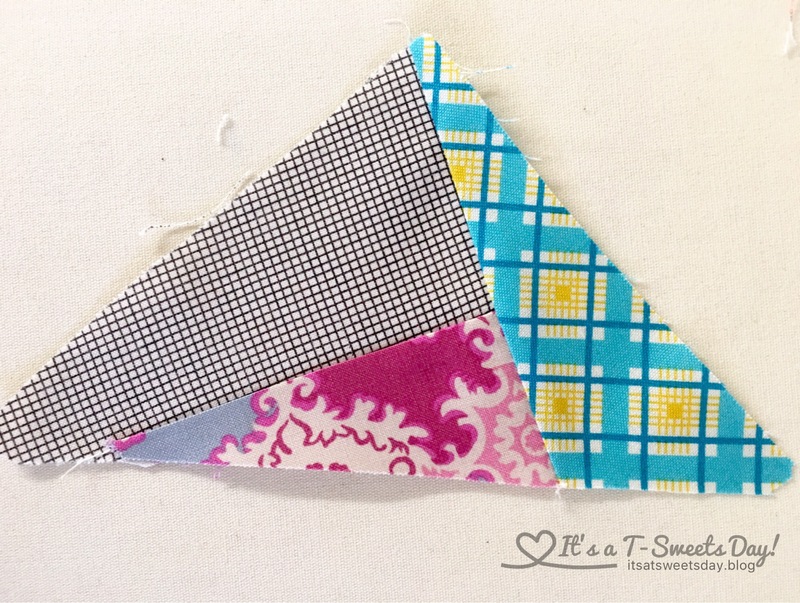 And two pieced triangles sewn together make a square. Put four of those squares together, and you get this beautiful North Star. No trimming seams or tearing away paper either:). Now we’re talkin’! If you like this block and would like to join in, there might be a few openings online somewhere. 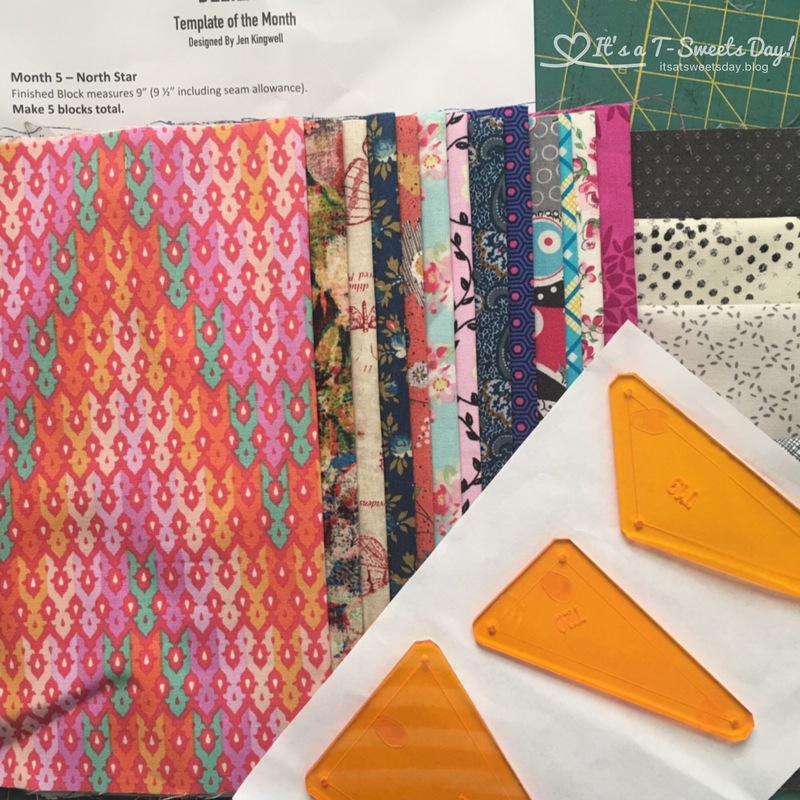 You can look for the Delilah Template of the Month by Jen Kingwell, but rumor has it that all of the spaces are filled. If you can’t find an opening, don’t worry, I hear that there will be a book coming out next year. SWEET! I will definitely be buying it:)! 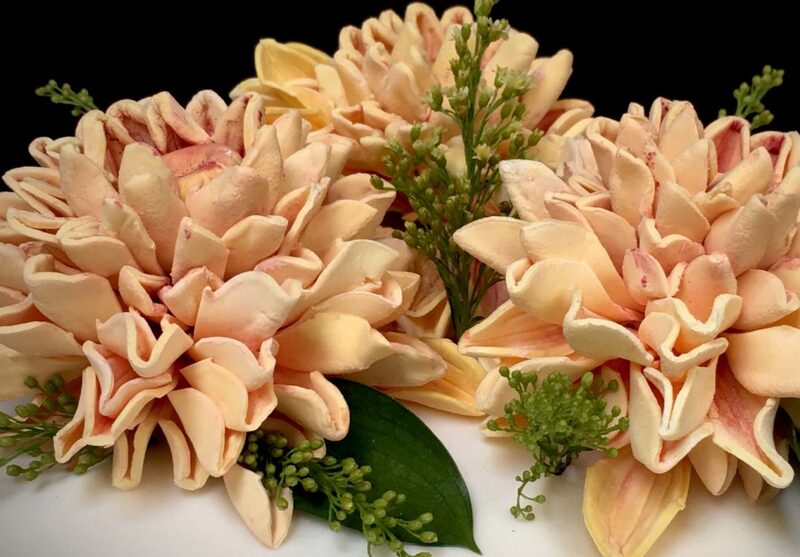 Thank you for stopping by and following along on my quilting and creative journeys. Next Fantastic Bake Along- Whole ﻿Grain Bread! Oh, they are all beautiful, but my favourite is that last block! Where can i buy the templates for the North Star templates? 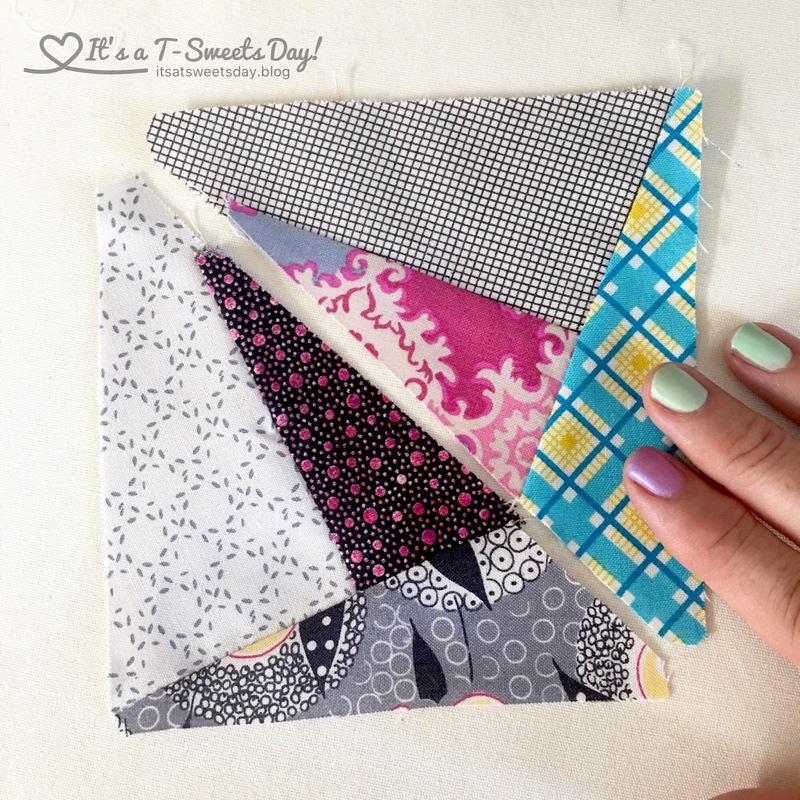 What is the size of the one quilt block? Wow! Another beautiful quilt. Love the star! Those North Star blocks are wonderful. I really love that pattern, and I love your blocks with that material…they really capture the contrast! Thank you Kathy! I have never tried a North Star block before. I like it too:)! Thank you so much Kate! Yes I did take a breathe !! A very deep one:). 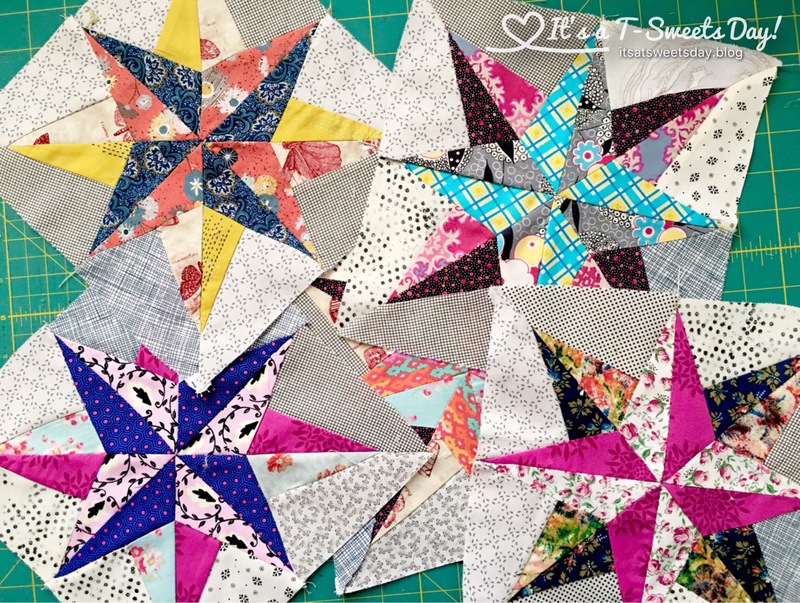 Beautiful North Star blocks! You did a great job on them. Thank you Tami! I think most of my creative journeys can be considered art because I certainly don’t NEED another quilt! I am definitely warm enough! Lol:)!